Marine journalist and Cuba expert Peter Swanson will speak June 11 at CubaCon 2010, a Cuban art and culture conference scheduled for June 10-13 in Provincetown, Mass. Swanson will discuss sailing the "Great Bahamas-Cuba Loop: A Post-Embargo Cruising Strategy." Other marine experts might join him for a session that&apos;s still taking shape. 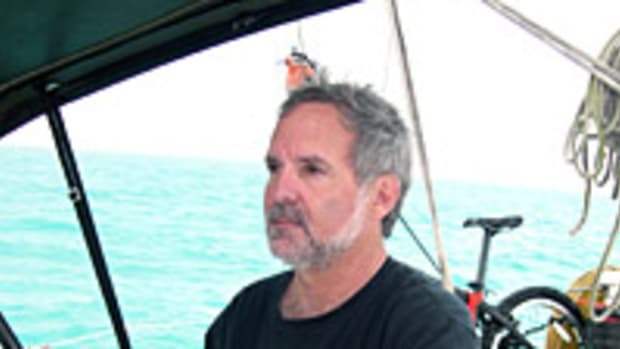 Swanson, a Massachusetts native now living in Florida, has written about Cuba for Soundings and Soundings Trade Only, PassageMaker, Yachting and MadMariner.com. He has developed a Web site (www.cubacruising.net) devoted to the prospect of cruising Cuba if the U.S. travel ban is lifted. Swanson has recently lectured about Cuba at PassageMaker&apos;s Trawler Fest in Fort Lauderdale and at the Essex by the Sea series in Essex, Conn. His talk in Provincetown will focus on how cruisers can incorporate the north coast of Cuba and Havana into their traditional Bahamas cruising plans. "I invite New England mariners to join me for the conference, which spans four days featuring many sessions on Cuban art and culture," Swanson said. "There is also a Cuban music dance party on tap, along with a Cuban art auction and Cuba movie day." Swanson&apos;s talk is scheduled for 2 p.m. Registration information, the conference agenda, presenter bios, lodging and more is available at the conference Web site. Contact conference organizer Rob Sequin at rob@havanajournal.com or call him at (508) 744-6790 for information.